Cate returns to London from New York to live with her aunt. Sent to value the contents of an estate, she comes across a mysterious shoebox containing a delicate pair of shoes, a photograph, a dance card and a Tiffany bracelet. Intrigued by the contents, Cate attempts to decipher their meaning, uncovering the story of the Blythe sisters, two famous debutantes of their time. The youngest, Baby Blythe, went missing, never found and Cate wonders if the shoebox holds clues to her mysterious disappearance. With a potential love interest and her intrigue with the shoebox, will Cate be able to overcome her own dark past as it catches up with her? 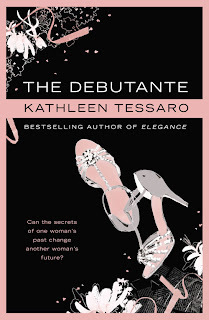 The Debutante was the first novel by Kathleen Tessaro that I’ve read and I really enjoyed it. It was full of intrigue and mystery that kept me entertained and flipping pages until the very end wondering how the story would unfold. After a bit of a slow start, I became immersed in this story and loved the rich, but not overwhelming detail. Initially, I wasn’t sure about Kate, but grew to like her and care about her story as much as I was interested in finding out the fate of Baby Blythe. I loved the Blythe sister’s story, which was told mainly through Baby Blythe’s letters interspersed throughout the novel and thought Tessaro’s pacing to reveal both their dark histories, as well as those of the main characters, perfectly timed. Besides the love interest predictability, I wasn’t sure where much of the rest of the novel was going which kept my interest and I was satisfied with how it all wrapped up and loved the lack of predictability with the rest of the story. 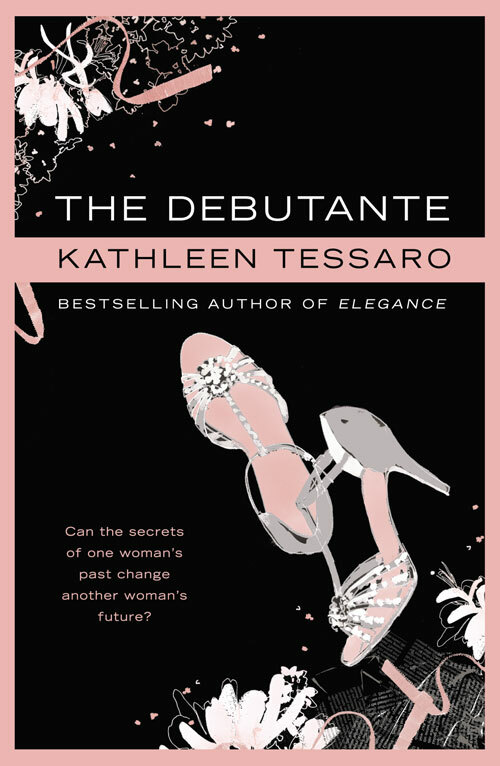 The Debutante had some grit and was a bit heavier than light chick lit, with mystery and history adding another aspect. I’d definitely pick up another of Tessaro’s novels in the future and loved her author’s notes on how she came up with the idea of a shoebox. I was thrilled when I found that there was a mystery being woven into this story as at first I found the read a touch slow and I didn’t connect initially with the characters. It is a good story though and I urge those finding it slow at first to keep on reading. The appeal for me was the interwoven stories from the present and the past and the fact that the present was seemingly being influenced by past events. Although there is no physical connection between the past & present characters the items that are discovered illuminate details about the mysterious “disappearance” of debutante Baby Blythe. Cate is a bit of an odd principle character as she’s quite jaded and her true personality is hidden from the reader for most of the novel. It was a bit hard to warm to her and for me she was mostly interesting as a way to learn more about the mysterious Blythe sisters. Jack also comes across as sad and even he feels he’s not living his life to the fullest. When they meet there is chemistry but it takes the whole novel and Cate working through her obsession with Baby Blythe for them to work out if they have any chance together. Having said the above it seems as if I didn’t enjoy the novel, but in fact, I did, very much. I think that it would be hard to have such an intriguing mystery with initially happy characters so I appreciate Tessaro’s writing immensely. My only complaint was that The Debutante ended too quickly and I would have liked a few more details - seemed a bit abrupt an ending for me.